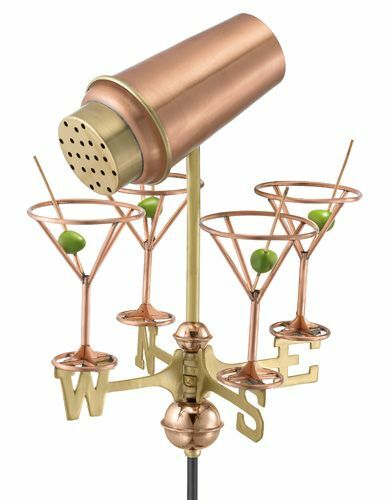 Weather Vane – “Shaken not stirred.” If you know some 007 James Bond types they will absolutely love this Martini with Glasses copper weather vane. This windvane is so much fun that displayed on a rooftop or in your garden it will be the envy of the neighborhood. The primary function of this windvane is to operate as a weather vane showing wind direction but the design is so spectacular it is also a fabulous art sculpture. The martini figure with glasses measures about 10 ½ inches high by 13 ½ inches wide with the directionals being about 6 ½ inches high. Skilled artisans use old world techniques to forge copper and brass into this functional work of art. 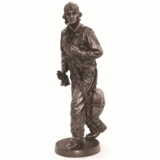 This Martini with Glasses garden weathervane includes a copper figure, copper spacer balls, solid brass directionals and a black powder coated steel rod. The weathervane is fully functional and is precisely balanced so that it will turn into even a light breeze to tell you the direction of the wind. The mounting choice is included at no extra charge and may be selected from the drop down menu. 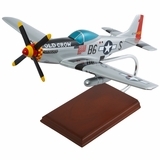 Easy to follow assembly instructions are included with the weathervane and it can be assembled in minutes. This weathervane comes with a 5-year written manufacturer’s warranty. Shipping weight is calculated at 12 lbs. Priority Shipping: $50.00 This charge is manually added after order submission as it is more than the standard priority shipping charge due to box size. Express Shipping: Sorry not offered on this item.